I just got and tried out this great bluetooth wireless headphones from Primed4U. I love these wireless headsets because I don’t have to worry about getting tangled in cords when I’m using it. It seems like these days headphones and headsets have so many cords and I use mine most when I am working out so I don’t want a bunch of cords in the way. This is great because you just have the headset and the earbud to deal with the only wire is the one connecting the two ear pieces. Simply charge up the headset piece with the included charging cable and they you are ready to go. This one lasts a long time once charged so like I said I really only use about an hour or so a day so that’s really all I need but it last a lot longer then that. It also comes with several attachments and different ear pieces. You can connect your device through bluetooth. Awesome set! 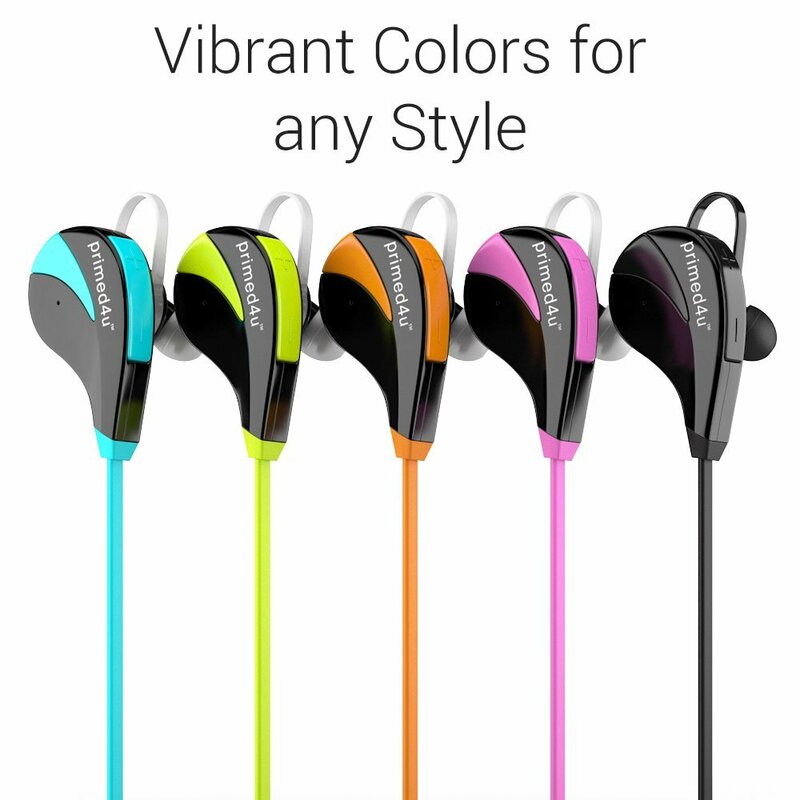 PREMIUM SOUND QUALITY Our stereo Bluetooth headset make every note or word of conversation crystal clear; Noise cancelling design of our wireless headphones with mic let you focus on the music!